Important information should be copied and preserved. 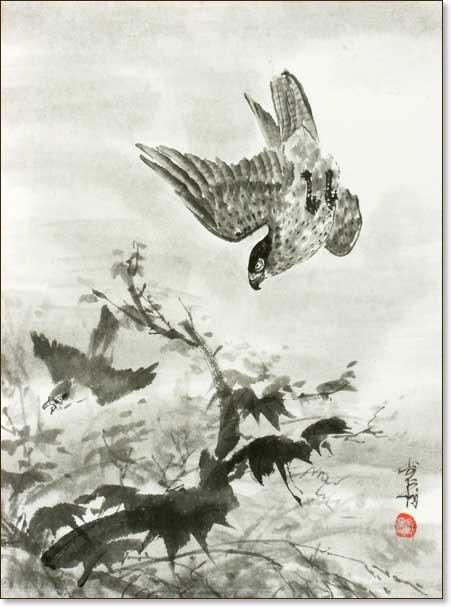 By copying Wang Yüan’s* painting I have preserved it—in my mind. *Wang Yüan, (ca. 1280–after 1349) an accomplished artist who pretended to be an amateur. 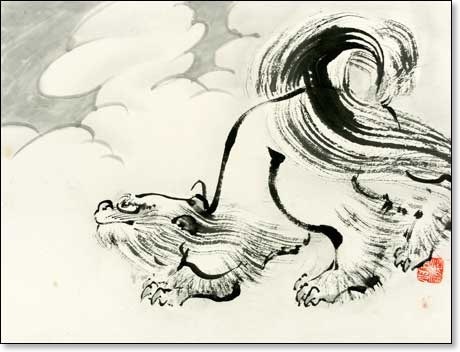 In his youth he had studied with the great painter-official Chao Meng-fu. Every man is aware that underneath his conventional exterior lurks a dangerous beast, a heartless tyrant, a king of the jungle. There are women who believe this! Some, anyway—and most of them in therapy. On their thousandth birthday deers turn white. 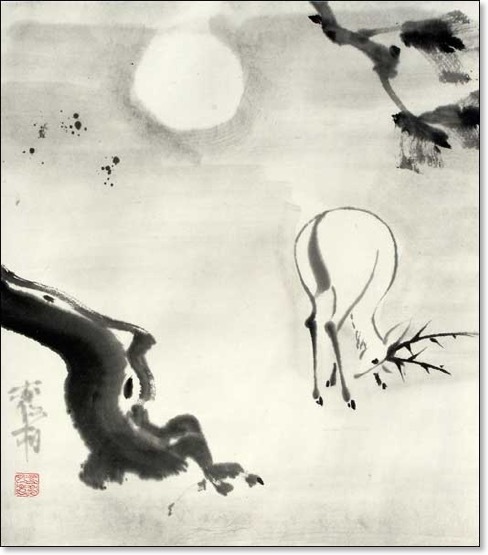 That explains why a white deer is a symbol of longevity. So where does the happiness come from? From a peculiarity of the Chinese language. The word for happiness (fu) happens to be the same as the word for bat (fu). but if it is in Chinese, it means “A Thousand Years of Happiness”. The bats, by the way, are dancing around the moon. Some personages have complained that those thingies look suspiciously like ink-spots. These people lack true understanding.